I knew I wasn’t the only designer looking for a better way to make presentations. That’s why my team built Ludus, a limitless playground to create presentations. 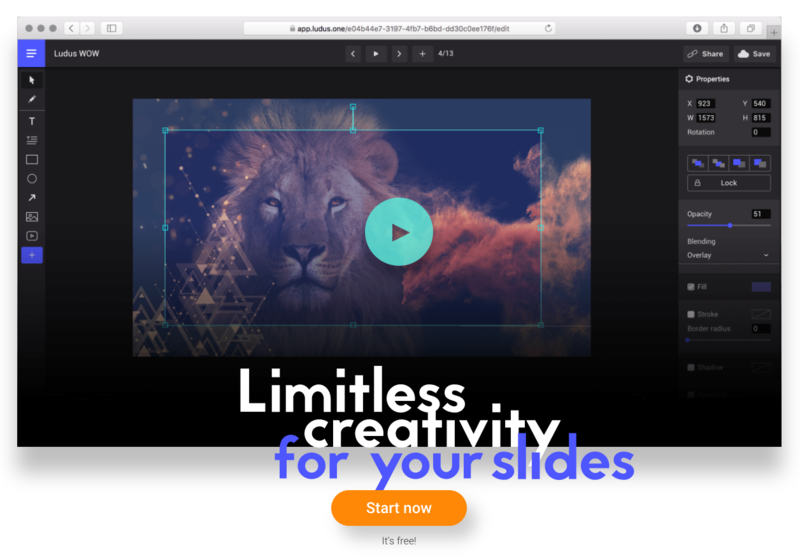 Ludus’s main purpose is to let people be more creative and collaborative when they’re creating presentations. Since the tool is web-based, it solves those sharing and collaboration issues mentioned earlier. Plus, it opens infinite possibilities thanks to the ever-growing list of third-party integrations provided out of the box. 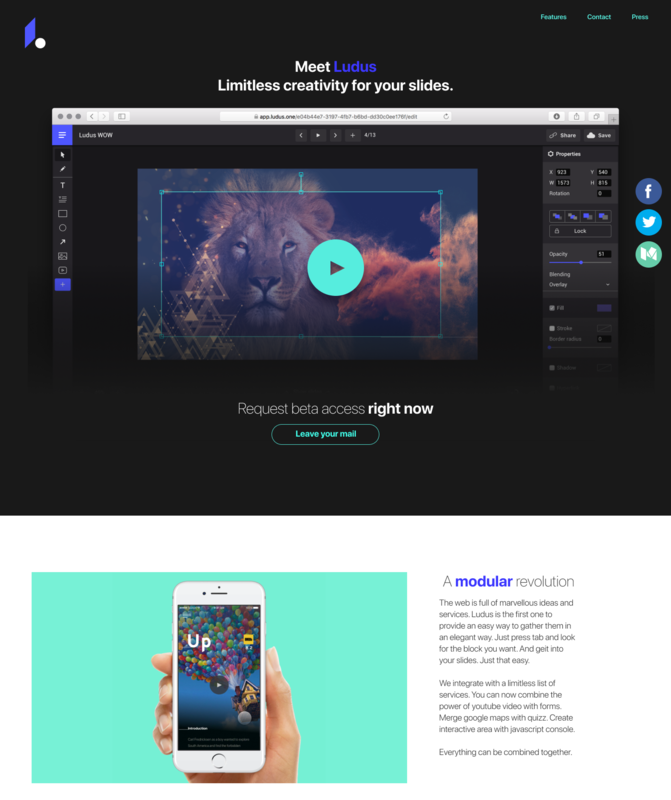 You can add videos, pictures, GIFs, 3D animations, prototypes, and more with ease. We’re a small team: three product engineers, one designer, and one operations support person. We all work remotely—for what we’re building, it wouldn’t make sense to be in the same room. Also, since we’re SaaS, our users and customers are already located all around the world and we don’t need a specific geographic presence to be close to our market. That’s the reason why we decided to incorporate our company in Delaware via Stripe Atlas, even though we’re all located in Europe. The main tools we use to communicate and get organized in our daily work are Slack, Google Hangouts, InVision, and GitHub. For customer support, we rely on Intercom—it enables us to easily interact with our users and ensure an adequate follow-up with them. And we mainly use Twitter, Facebook, and Medium to share insightful information to our community of users. 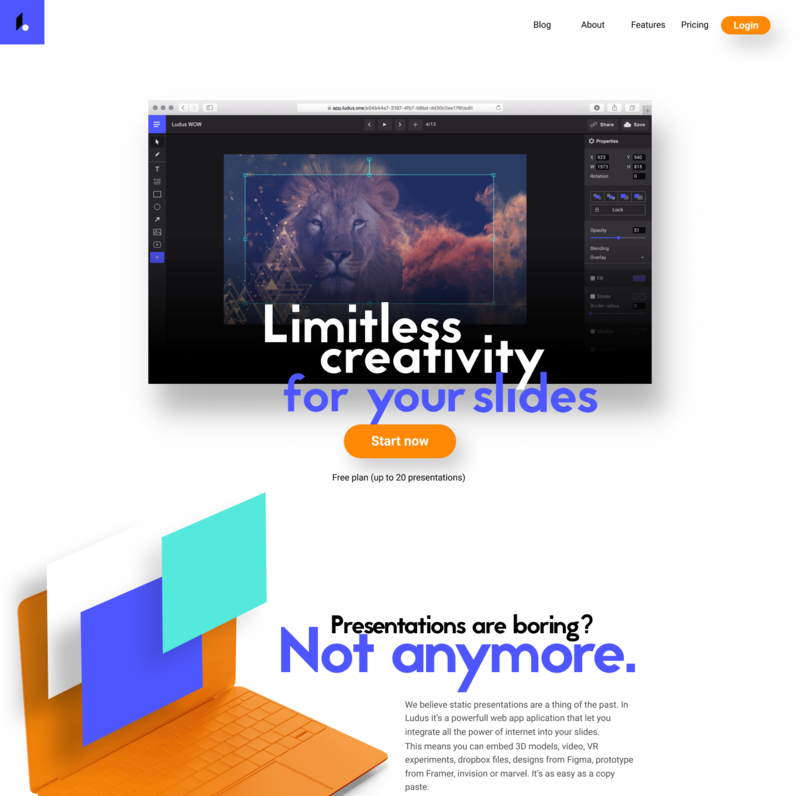 While exploring presentation tools, we discovered that presentations are still the most-used format in the education world—and that’s actually what motivated us to start developing “something.” It was exciting to think that we could build something truly meaningful. Our first idea was to develop a platform that let users insert polls and surveys, and even handwritten explanations. 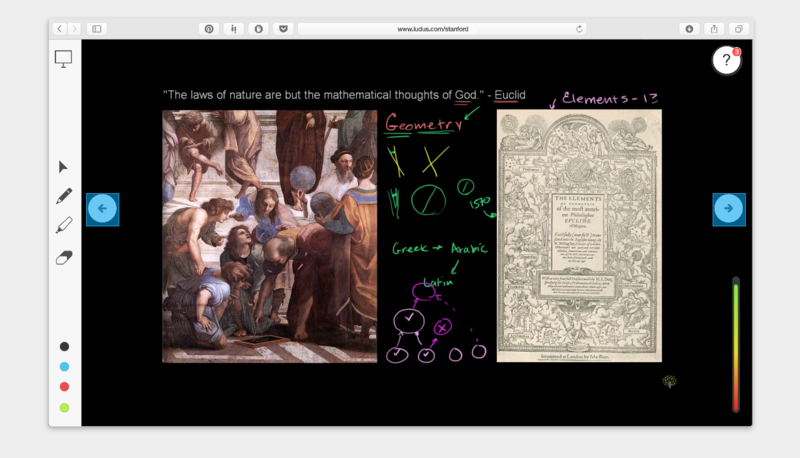 We imagined it’d provide a discussion board where the presenter’s audience could have a discussion on each slide and rate comments. Adding handwritten comments. This is a screenshot of one of our InVision projects. But this led us down the wrong path. We tried targeting the education community directly, but we couldn’t reach anyone who was ready to lead a revolution. Universities are almost impossible to move forward, few teachers are willing to change their habits, and students can wait for things to improve eventually. So we reoriented our efforts to make our tool available for any industry, not just education. We noticed that many people ask designers to build their presentations, and that knowledge enabled us to enlarge our audience and access a niche market. We’d reach people who were deeply in need of something better. We developed a simple strategy: make a tool for creatives that would encourage collaboration and allow them to build whatever they wanted. That initial target was perfect, because people working in the creative field are more likely to be early adopters and they typically have a lot of freedom when it comes to choosing their tools. Finding an audience is not an easy task, and we were lucky to find ours relatively quickly. Our advice: Don’t waste too much time on people who need to be convinced. Focus on people who are excited about your product , even if it looks like a sub-niche. It’s better to have 10 very excited users than 100 kind-of-excited users. And don’t worry if that niche market seems to be far away from the vision you have for the company—early adopters will help make your product better in ways you can’t imagine and might even lead to a widening of your audience. We started to develop Ludus in January 2017. In the beginning, we barely had a working proof-of-concept—it contained less than 500 lines of code. The only goal was to prove that our choice of technologies (React + Redux + Fabric.js) was the right choice (it was). A few weeks earlier, we raised $25,000 with our friends, family, and fools to enable Vincent, our CTO, to start and finish building a minimum viable product (MVP) before the summer. The other founders all supported him and gave him feedback as much as possible. A lot of things were still missing and some existing things were still buggy, but in the second half of March 2017, the basics were in place: dashboard, create/delete a presentation, add/edit/delete/save slides, etc. We started inviting a limited amount of people by posting a link to our website on a few Facebook design groups. Talking about our tool to people allowed us to fine-tune our pitch and define a common introduction for Ludus. Within the team, we interacted with each other every day and brainstormed every two weeks through video calls. 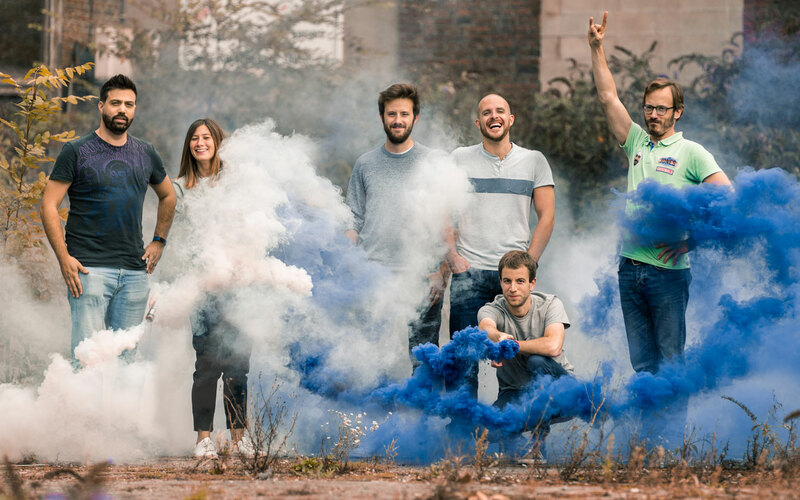 Since we work remotely, we organized a four-day team trip in Spain to gather together and prepare the launch of our product. There, we set some milestones and agreed on what our MVP should look like (features and design). The deadline was set, so we each focused on our tasks (product development, marketing, communication, customer support, growth hacking). In May 2017, we launched our private beta on Product Hunt to confirm, as soon as possible, if other people felt the same frustrations and the need for a new presentation tool. After launching our beta version, we discovered through our data analysis that any person who’s willing to share knowledge might be already interested in Ludus at the early stage. Today, we have more traction from designers in communication/video/web/ad agencies. But we have a significant amount of other profiles like marketers, teachers (in both high schools and universities), consultants (from big and small companies), startups, etc. This provides much more possibilities for our product. 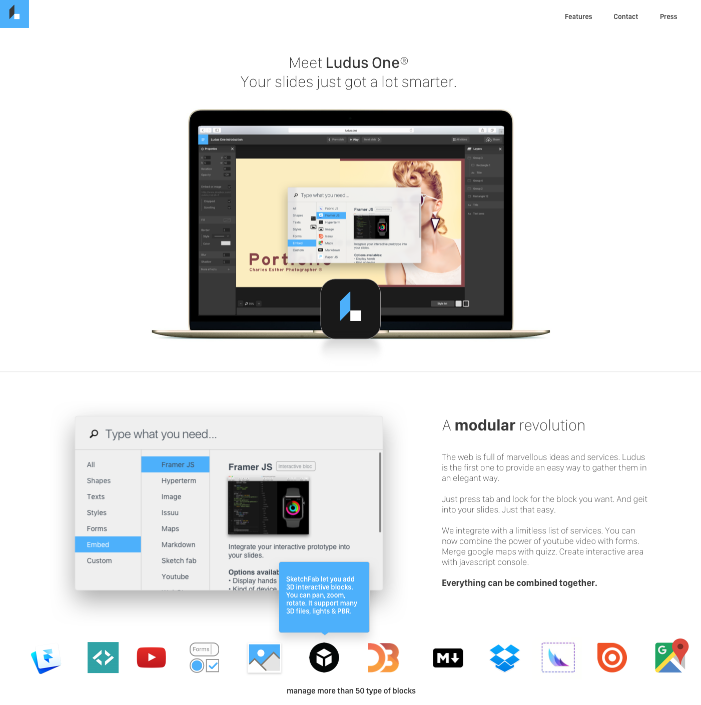 Initially, the Ludus brand was just an icon drawn quickly in Sketch. But we already had a feeling that the branding should be simple, since the content is much more important than the tool. One of the core ideas of Ludus is that every piece of content is a “block.” Just like with LEGO blocks, you can build your “stories” by assembling blocks together. So we started playing with basic geometric shapes to recall the blocks. We ended up with a set of different letters composed of different sets of basic shapes. From these letters we used the “L” as our main logo. The core shapes are always the same: square, triangle, or circle. We authorized ourselves to chop these shapes if necessary. 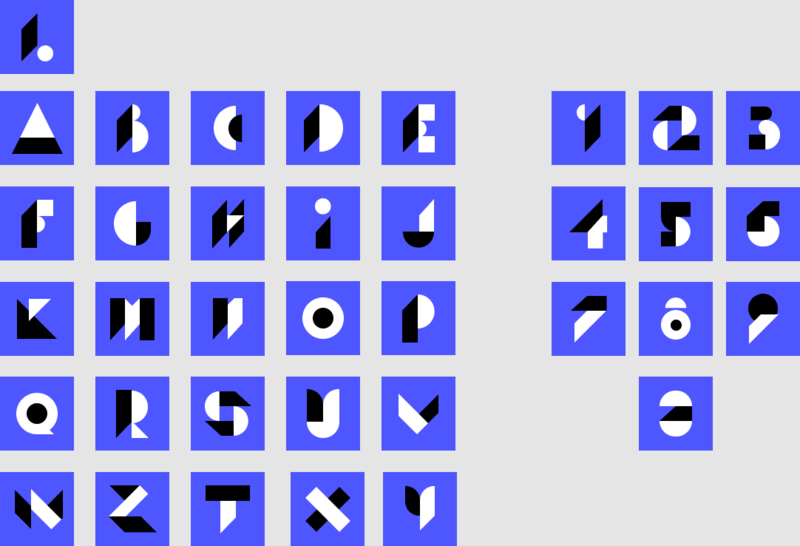 We like the fact that it’s a simple graphic vocabulary and shows a sense of playfulness. We tried to stick to that feeling in all of our brand communication. Of course, since we’re a small team, we don’t want to build strict guidelines. We see it as a constantly evolving thing. We just want to stay consistent and readable. Our website isn’t even a year old, but it’s evolved quite a bit. We like to keep things moving forward, and we don’t ever want to be afraid to try something. We have that same philosophy when we’re working on the Ludus application. Next update, with new set of colors. More dark, more serious, more professional. Latest iteration—lighter and new highlight color. We aim to be more mainstream. Build your MVP as soon as possible to confirm you’re trying to solve a real problem. Remember that you can fake it until you make it. We started with a simple landing page with fake screencasts to make sure we were able to capture people’s interest. Target your audience the right way. The purpose of your product can be completely different from what you expected in the beginning, depending on the target group chosen. And the target audience you’ve chosen to start with can be miles away for the broader vision you have for your company. Listen to your customers. They can help you prioritize your product development. Stay focused. You should have a plan and know where you’re going for at least a year in advance. Only the implementation details of the plan (what should we do next and how should we do it?) can be redefined on a regular basis. Want to share your team’s process here on the InVision Blog? Get in touch. Next to studying Graphic Design, I started working as a Digital Editor at Dupuis and then I became an Interactive Designer at Emakina — that’s where I met Vincent Battaglia (Ludus CTO). Quickly after, I co-founded my own creative bureau with Vincent (1MD or One Million Dollars) as well as WooRank (which became a market-leader SEO tool).